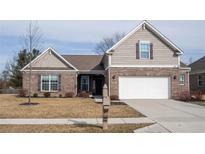 Below you can view all the homes for sale in the Marlin Meadows subdivision located in Indianapolis Indiana. Listings in Marlin Meadows are updated daily from data we receive from the Indianapolis multiple listing service. To learn more about any of these homes or to receive custom notifications when a new property is listed for sale in Marlin Meadows, give us a call at 317-434-3867. You will love the crown molding & fluted door jams in nearly every area, engineered hardwood in the entry & hall, 60oz carpeting, upgraded lighting, granite tops throughout and be sure to touch the suede granite in hall bath, 4ft bump out of garage with commercial shelving. MLS#21628503. Advisory Real Estate Group. Hurry, this one won't last long! MLS#21617187. Keller Williams Indy Metro NE. 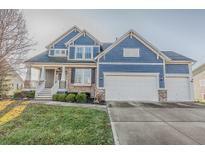 Come check out this great house today! MLS#21626383. Plat Collective. Master Bath Features Double Sinks, Toilet room, Tub, & Walk-In Shower. COME SEE TODAY! MLS#21623407. Keller Williams Indy Metro S.